The decision to manage Damian Willemse carefully in the short term will benefit the player and the Springboks in future, writes JON CARDINELLI. Rassie Erasmus believes South African rugby has unearthed a rough diamond in Damian Willemse. Earlier this year, the Springbok coach revealed his plan to develop the 20-year-old and use him at fullback at the 2019 World Cup. Beyond that tournament, Erasmus expects Willemse to make a permanent shift to flyhalf and have the chance to establish himself as the Boks’ first-choice No 10. Time will tell whether Erasmus will follow through with this plan, though, and whether Willemse will realise his potential as a Test star. 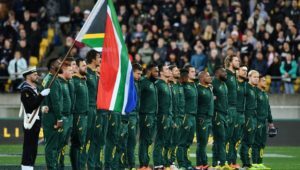 Those against this kind of plan have cited examples such as Brent Russell and Pat Lambie; promising players who were moved around the backline during their careers and failed to make any one position their own. Curwin Bosch started at fullback against Wales in Washington DC earlier this year, but wasn’t considered at all for the Tests against England or the first four games of the Rugby Championship. Bosch featured for the Sharks at No 15 during the early stages of the Currie Cup, and it seems as if plans to develop him as a potential Test flyhalf have been shelved. On the other hand, some of the greats of the modern era have been brought through the ranks in this fashion. Stephen Larkham, Jonny Wilkinson, Dan Carter, Frans Steyn and even a potential great in Beauden Barrett were given time to adjust to the rigours of Test rugby before being thrust into positions of ultimate responsibility. If managed correctly, Willemse could well go on to emulate these match-winners and boost the Boks to new heights. 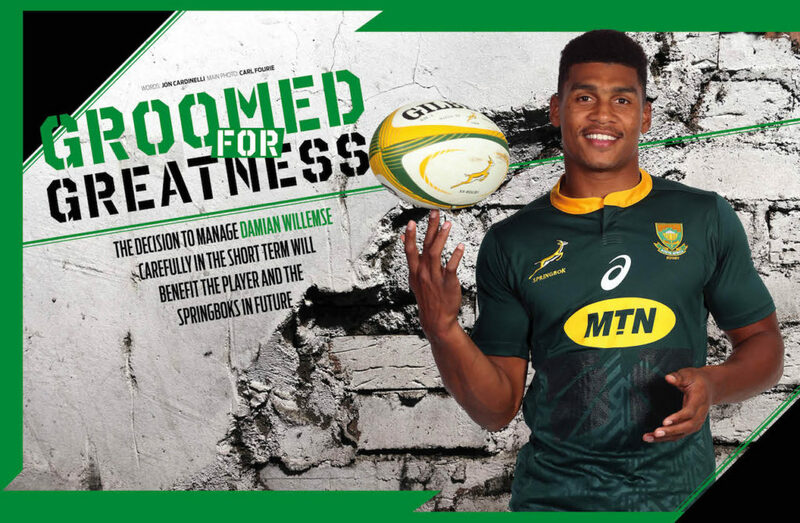 Even at 20, Willemse has the physicality and the mental strength to succeed at Test level. Erasmus made this point after the player was included in the Boks’ Rugby Championship squad. That Willemse has the capacity to be the general in future is not up for debate. Bok and Stormers captain Siya Kolisi recently explained how the youngster has accepted the role and the challenges that come with it. ‘Damian is different to most of the young guys who go straight into pro rugby after school,’ he said. ‘He’s very strong mentally and sets the example for all with his fitness. 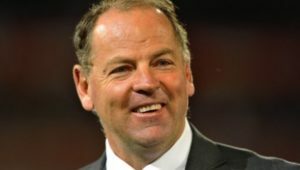 Former Bok coach Jake White picked Steyn to start on the wing in 2006 after watching the then 19-year-old impress in several Currie Cup matches. Steyn fulfilled a utility role in the lead-up to the 2007 World Cup. When injury ruled Jean de Villiers out of the tournament, Steyn was backed to fill the gap at No 12. White has already made his views of Willemse clear. 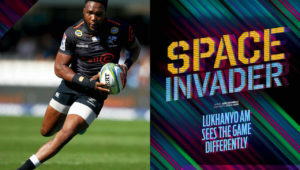 The player started regularly for the Stormers in this year’s Super Rugby tournament. After a series of eye-catching performances, calls for Willemse’s elevation rose to a roar. ‘Damian ticks all the boxes and what I like most is that he’s quick,’ noted White. ‘People say he’s brave on defence and he kicks nicely, but one thing South Africa have lacked for a long time is a really quick No 10. It’s something that would change the way teams defend against us. ‘Bok coach Rassie Erasmus will go to two World Cups in the next six years and it’s a no-brainer – Willemse is the guy for the No 10 jersey. If we go with a flyhalf who is now 20, then we’ll be in a situation similar to what England had with Jonny Wilkinson, Australia had with Stephen Larkham and the All Blacks had with Dan Carter – the same 10 for a long time. Larkham began his Test career at fullback in 1996. Two years passed before he was given the opportunity to start at flyhalf. He went on to become the best No 10 of the era, and was at the centre of the Wallabies’ World Cup and Tri-Nations successes. Carter famously began his Test journey at inside centre alongside more senior players. 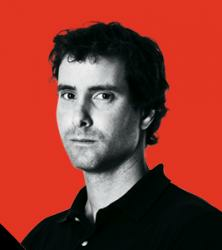 Fifteen months after his debut, when the All Blacks toured Europe at the end of 2004, Carter was handed his first start at flyhalf. Barrett won the 2016 and 2017 World Rugby Player of the Year awards. He delivered a timely reminder of his status as the game’s premier flyhalf when he scored four tries against the Wallabies in Auckland earlier this season. It’s easy to forget that Barrett made his Test debut in 2012, and that it was some time before he made the flyhalf position his own. The All Blacks boasted some great flyhalf options at that stage, but recognised the need to groom a promising youngster. Barrett made his first start at fullback in 2012. While he enjoyed some game time at flyhalf in 2014, he travelled to the 2015 World Cup as a utility option. It was only during the 2016 season when he was backed consistently at No 10. Willemse did not enjoy the best Test debut against Argentina. Plans to bring him off the bench at fullback were scuppered when Erasmus realised he needed Handré Pollard and starting 15 Willie le Roux on the field at a crucial stage of the game. Willemse was introduced at flyhalf, with Pollard shifting to 12, and made a couple of costly errors. Afterwards, Erasmus told the media and public to be patient and that his debutant would be better for that experience. Willemse himself was philosophical when asked to describe his emotions after representing South Africa at 20. ‘It’s hard to explain,’ he said. ‘I never thought I would be sitting here at the age of 20. I always believed I could make it, though. I’m happy we got the result and that I got the chance to wear that Springbok jersey. Some Boks have come in for a few games and then have gone again. That’s not part of the plan for me. That’s not what any of us want. We want to be great Springboks. ‘I am a flyhalf and I prefer to play at flyhalf,’ he offered when probed on Erasmus’ plan to field him at fullback in the lead-up to the World Cup. ‘I’m available wherever the coach wants me, though. For a young guy stepping up, it’s important to out-work and out-learn everyone else. That’s what I’m trying to do. I’m trying to learn from the other players. Take it all in one basket, shake it up, and see what we come up with. Stormers coach Robbie Fleck, who has witnessed Willemse’s rise through the Western Province ranks first-hand, is behind the decision to handle the player with care. Fleck believes Willemse is good enough to come through, though, and reveals that the player has already forced the better opposition coaches to rethink their plans. ‘All the New Zealand coaches think he’s a star in the making,’ Fleck said. ‘The Chiefs put him under pressure with good linespeed [when the Stormers hosted them in their 2017 quarter-final]. He couldn’t play his natural game, but he didn’t do too badly. ‘He’s improved a lot since then. He’s taking a lot more control, deciding when to attack nice and flat or to give early ball to his outside backs or to look for kicking space. He’s managing the game a lot better. That is the biggest challenge for any flyhalf, managing the game, even when you are going backwards and you are under pressure. 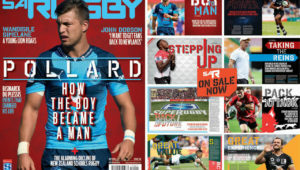 – This article first appeared in the October 2018 issue of SA Rugby magazine.